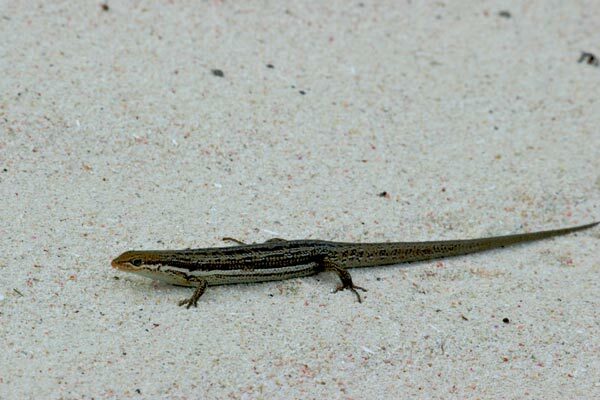 These little skinks were common on the sand dunes of the beaches. 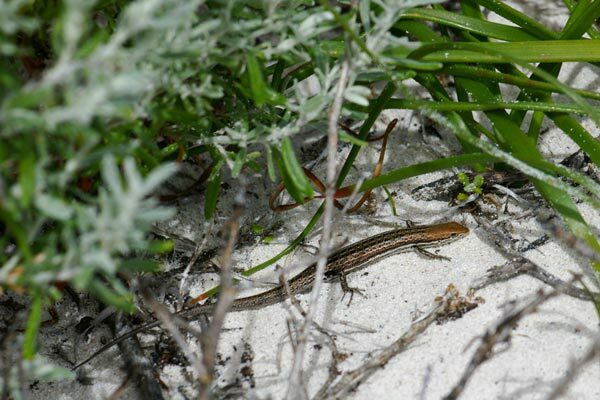 They rarely ventured far from the ground-cover plants that clung to the dunes, and the first ten or so I tried to photograph managed to skitter out of sight before I could get a good photo. I eventually managed to catch one and then released it far from any vegetation, so it would pose in the sand. When we had finished taking photos, I encouraged it back towards its protective plant cover.